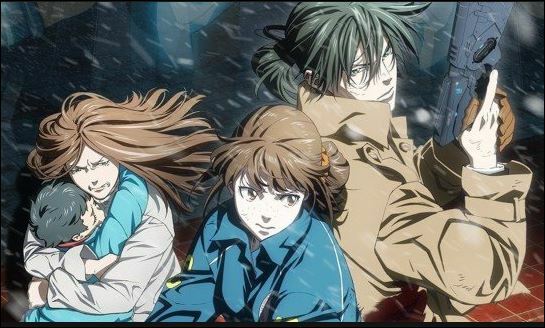 People with a taste for cyberpunk crime shows might remember Psycho-Pass, which is a Japanese franchise that started up with a very successful season of anime that was broadcast from October of 2012 to March of 2013. On the strength of that single season, the franchise has seen a number of subsequent expansions, which include a second season for the anime, a couple of animated movies, a couple of manga, a number of novels, and even a video game. As a result, the popularity of the Psycho-Pass franchise should be evident. For those who are unfamiliar with the Psycho-Pass franchise, it has more than earned the right to be called a cyberpunk franchise. In short, it is setting in an dystopian Japan in which there are sensors mounted in public places for the purpose of scanning the minds and mentalities of the population to calculate their chances of committing a crime. This is the titular Psycho-Pass, which is very important to the franchise because when someone exceeds a certain threshold for the so-called Crime Coefficient, said individual is hunted down by police with the authorization to kill. Certain members of the police are called Enforcers, who are set apart by the fact that they have high Crime Coefficients of their own. As such, they are overseen by more police, who have the authorization to kill them if they turn into threats of their own. Unsurprisingly, much of the Psycho-Pass franchise is focused on those who are less than enthused by this system, though it should be mentioned that its protagonists are the ones responsible for enforcing it rather than the ones challenging it. What Do We Know About the Third Season of Psycho-Pass?